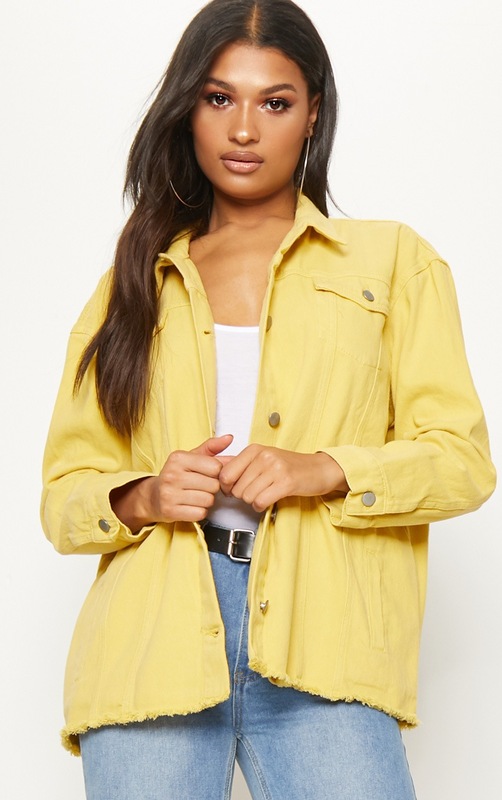 Add some bold colour to your denim collection with this yellow denim jacket. 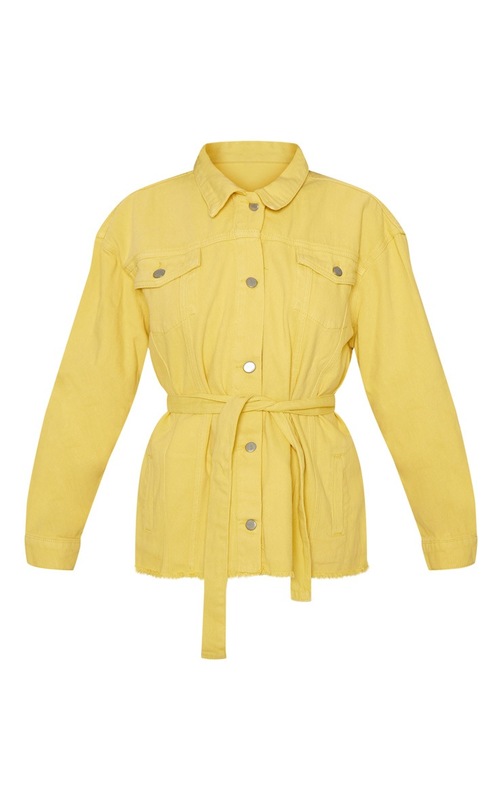 Featuring an oversized fit and tie waist, what's not to love? Style with cycle shorts and boots for a killer festival vibe.